If you’re an American worker of a certain age you are probably thinking about Social Security and the role it may play in your plans for retirement. Despite talk that Social Security is going to disappear or run out of money to pay benefits, if you are planning on retiring in the next five to ten years, you are most likely going to be receiving benefits. That’s not to say you’re going to be able to live on your Social Security check, but you may be receiving one, so it makes sense to understand just what goes into calculating the monthly benefit. Social Security allows you begin collecting benefits at age 62. That’s because once upon a time age 60 was when people started to retire. But 60 is the new 40 and fewer and fewer people can consider, or even want to retire that young. The important takeaway here is, the younger you are when you start claiming benefits, the lower your monthly benefit may be. Social Security considers a number of data points to determine your benefit, including your average annual earned income, the number of years you have been working and paid into the system, as well as your full retirement age (FRA). You can follow this link courtesy of the Social Security Administration to calculate your FRA. The longer you postpone receiving your benefits, the larger the amount you will receive. Circling back to postponing your benefits, the decision to do so can have an impact on your family and dependents. If you have been the primary earner in your household and choose to take your social security benefits early, your spouse’s benefits may be impacted in the event of your death. Before making a decision it’s a good idea to understand what happens to your beneficiaries when you die. The SSA website provides comprehensive information for survivors and beneficiaries. In addition to benefit planning calculators, it’s a good idea to review all the information provided before applying for benefits. Based on 2017 calculations, the maximum monthly benefit that can be paid out at full retirement age is $2,687 per month. Now do the math. That’s just over $32,000 per year, which isn’t going to very far after you consider that those benefits are also taxable in some instances. 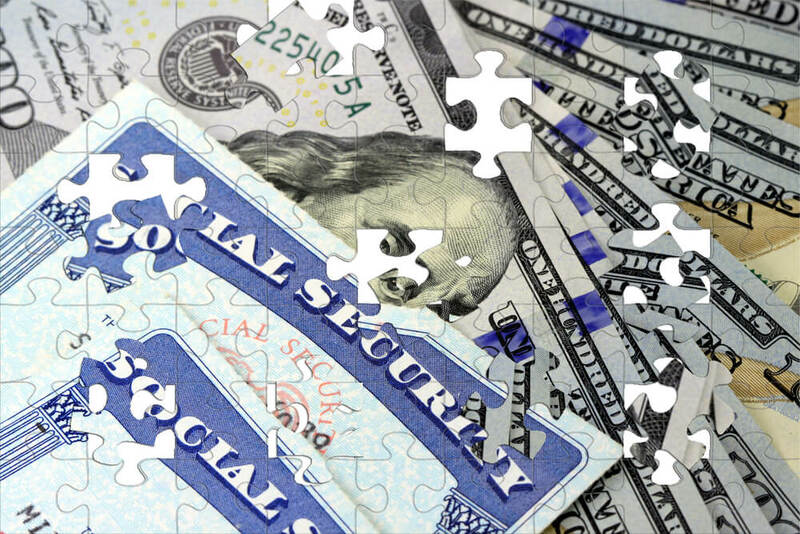 After you take a good long look at what Social Security is and how the benefits are calculated, you may want to reconsider how you approach your retirement income puzzle. At Mooney Lyons, we appreciate how challenging planning for a sustainable retirement can be. We are ready to help you determine what savings and income replacement strategy will work best for you and your family. Call our office today to set up a meeting with one of our qualified professionals. We can help you see your retirement in a whole new light.